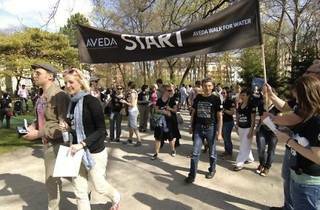 Aveda Walk for Water is an international charity campaign driving public action towards providing clean water to communities in need. The 2km mass walk involved symbolises the distance individuals without clean water supply have to walk for fresh water. The Malaysian leg of Aveda’s Walk For Water is in support of EcoKnight’s Mantanani Project to help raise funds for clean water supply to the villagers of Mantanani Island, Sabah. It may be a popular tourist diving site, but locals on the island do not have potable water supply. The project’s master plan includes securing Mantanani Island Conservation status and finding sustainable economic livelihoods for the islanders. To enter, register here.